Boise – State Rep. Julie VanOrden, R-Pingree, wants to get some things straight: Republicans didn’t vote this week to gut science teaching standards for Idaho schools, nor did they strip the standards of all references to climate change. VanOrden felt the need to speak out after a week of what she called “inaccurate, to put it mildly” characterizations of action in the House Education Committee, which she chairs. On Wednesday a majority of members on the committee voted to approve 326 out of 327 standards developed under the guidance of the State Board of Education. The standards cover all the major subjects of science from grade K through 12, and represent a shift towards a more inquiry-based mode of instruction. The one standard that was removed was for students in fourth grade, and did not mention climate change. It dealt with the effects of human activity on the environment and some members felt it was phrased in a way that would lead students to a certain conclusion rather than letting students arrive at their own conclusions. VanOrden said other references to climate change and global warming were left in the standards. The committee also removed “supporting content,” designed to aid educators in teaching the standards, because a majority of members believed they didn’t need to be in law. 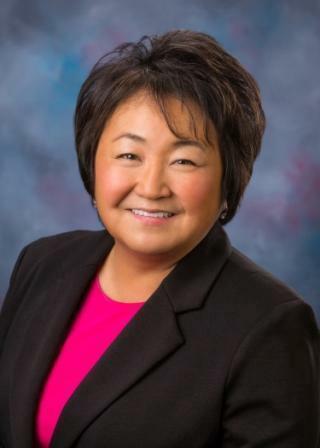 Superintendent of Public Instruction Sherri Ybarra said at the committee hearing Wednesday that her office would make the supporting content available to school districts. ESS3-MS-5. Ask questions to interpret evidence of the factors that cause climate variability over time. LS4-HS-4. Construct an explanation based on evidence for how natural selection leads to adaptation of populations. ESS2-HS-2. Analyze geoscience data to make the claim that one change to Earth’s surface can create feedbacks that cause changes to other Earth systems. ESS2-HS-4. Use a model to describe how variations in the flow of energy into and out of Earth’s systems result in changes in climate. ● Further Explanation: Examples of the causes of climate change differ by timescale, over 1-10 years: large volcanic eruption, ocean circulation; 10-100s of years: changes in human activity, ocean circulation, solar output; 10-100s of thousands of years: changes to Earth’s orbit and the orientation of its axis; and 10-100s of millions of years: long-term changes in atmospheric composition. ESS3-HS-1. Construct an explanation based on evidence for how the availability of natural resources, occurrence of natural hazards, and changes in climate have influenced human activity. ESS3-HS-5. Analyze geoscience data and the results from global climate models to make an evidence-based forecast of the current rate of global or regional climate change and associated future impacts to Earth systems. * Further Explanation: Examples of evidence, for both data and climate model outputs, are for climate changes (such as precipitation and temperature) and their associated impacts (such as on sea level, glacial ice volumes, or atmosphere and ocean composition). ESS3-4-1. Obtain and combine information to describe that energy and fuels are derived from natural resources and their uses affect the environment.